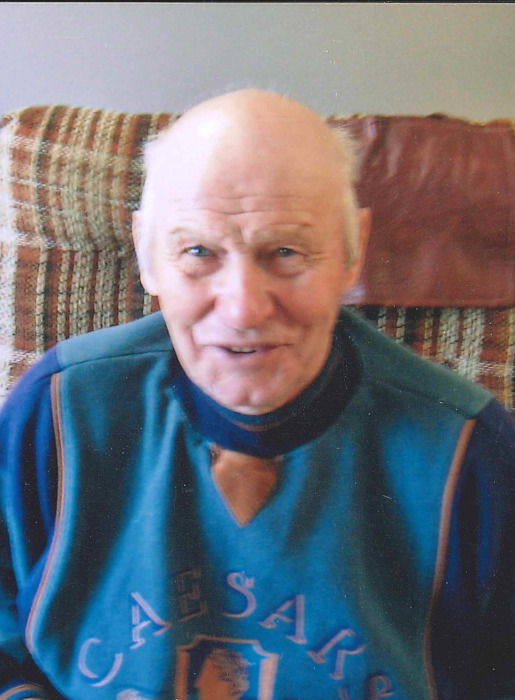 Our brother Wilfred passed away peacefully on February 6, 2019 at Country Meadows Personal Care Home in Neepawa, Manitoba. He is survived by his siblings; Doris, Jerry (Marlene), Aileen (Ed); nephews, Kevin (Leanne), Jason (Anna), Jonathan, Chris (Sabrina), Ryan (Jennifer) and their families. He was predeceased by his parents, John and Magdalena Buffi. Wilfred was born on the family farm in Waldersee, Manitoba, where he grew up working with his father to tend the farm and raise cattle. In his younger years Wilfred was involved in community activities, enjoying hockey, curling, and even taking part in a community drama. Eventually, with the passage of time the farm became his sole responsibility; as he aged, his neighbors stepped in to help with daily farm work. In November 2010 Wilfred suffered a stroke and as a result was unable to resume farm work. Subsequently he spent the next 8 years in care. His sense of humour remained with him even as his health deteriorated. He will be remembered by his nephews, friends and caregivers for his corny jokes. The funeral service will be held at Christ Lutheran Church in Waldersee on May 11, 2019. The family extends thanks to Ron and Dennis Mitchler for their help, as well as the caregivers at Baldur Care Unit, Yellowhead Manor Assisted Living and especially Country Meadows Personal Care Home, for their faithful, loving care of Wilfred. Thanks also to Drs. Desilet and Wang, as well as chaplains Gladys Anderson, Hildegard and Jim Vickers. There's still time to send flowers to the Funeral Service at the Christ Lutheran Church, Waldersee at 1:00 PM on May 11, 2019.